Skip Morris makes personal appearances to perform fly-tying clinics, fly-tying demonstrations, and power-point presentations throughout the year. Carol Ann Morris's scheduled talks on fly fishing photography are also included here. Here is the schedule of their personal appearances for 2019. Washington State is Lake Central—we have lakes all around us—and most of them grow lots of chunky hard-fighting largemouth bass. Our lakes also grow panfishes, such as bluegills and crappies—fun, abundant, scrappy. After the trout in our lakes quiet down in summer's heat, these warm-water-loving species come alive; learn to fish for them and your fishing opportunities blossom. After presenting a slide show on where these fishes hold and how to catch them, Skip Morris (author of The Art of Tying The Bass Fly) who'll be the instructor-at-your-side helping you tie deadly flies on these overlooked fishes. 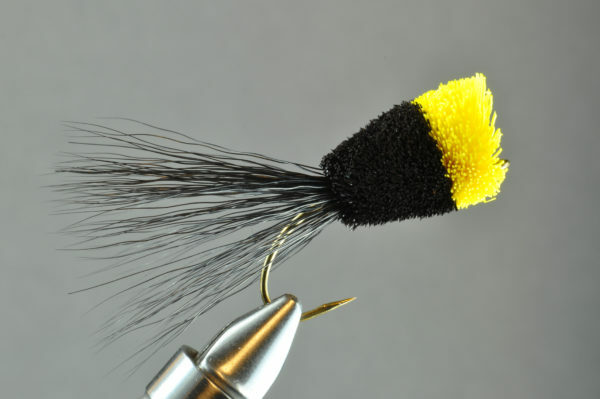 You'll learn the Dave's Eelworm Streamer, the Predator (a super-popular foam fly for panfish and bass—and trout), and you'll learn to spin deer hair and sculpt it into a bass bug. Come tie top bass and panfish flies with a bass-and-panfish expert, and then learn how, where, and when to fish those flies for these wonderful sport-fish waiting just down the road. You'll get a handout with the fly dressings and information on how, when, and where to fish bass and pan-fish flies. You'll also leave with a fly Skip tied. Skip is the author of 18 fly-fishing books, seven specifically on tying flies, and over 300 articles in the fly-fishing magazines. COST: $75.00 Pay in advance to reserve your spot. LEVEL: This clinic requires at least a medium level of tying experience. PROVIDED: A hand-out with dressings and information on fishing them, all materials except thread. Bring your own tying tools and vise. Skip Morris (author of The Art of Tying The Bass Fly) will be the instructor-at-your-side helping you tie deadly flies on these overlooked fishes. You'll learn the Dave's Eelworm Streamer, the Predator (a super-popular foam fly for panfish and bass—and trout), and you'll learn to spin deer hair and sculpt it into a bass bug. Friday, April 26, 2019, in the evening. Call the shop for details. Friday, April 27, 2019, 9:00am to 3:00pm. Powerpoint show on fly fishing for bass and panfish. $35 (pay in advance to reserve your spot). Hands-on fly tying clinic; tying bass and panfish flies. $75.00 (pay in advance to reserve your spot). REGISTER: call the Avid Angler Fly Shop at (206)362-4030. *Lunch break at 1130 am - bring lunch or purchase onsite. Good restaurants and bar and grill upstairs. Bring your own tying tools and vise. Carol will be presenting a powerpoint show on fly fishing photography and also do a fly tying demonstration this coming Thursday at the Wenatchee Valley Fly Fishers, Wenatchee, Washington. Over the past two decades Carol Ann Morris's photographs have not only appeared in most of her husband Skip Morris's 18 fly-fishing and -tying books but on the covers and interior pages of such magazines as Gray's Sporting Journal and Fly Fishing and Tying Journal. Carol speaks across the US at fly clubs and fly-fishing shows. It seems fly fishers want to record their biggest and most beautiful fish, the fascinating rivers and lakes and beaches they fish and explored—the very heart of their beloved sport—with a camera. Carol teaches them how to make their photos crisp and vivid, balanced and expressive. She demonstrates and explains the Rule of Thirds, effective use of light, the Magic Hour, UFOs (Unidentified Foreign Objects), how to photograph fish, and many other straightforward concepts anyone can use to improve their photographs. Also, Carol will show various failed photos and explain what caused the problems. Wet Fly Hour: 5:30 p.m. Skip will give a tying demo/seminar on "Effective Dries and Emergers " that will go nicely with his talk. The seminar is in the meeting room at the Mukogawa Fort Wright Institute Commons beginning at 1:00 pm. This class will last about 2 to 2 1/2 hours and give everyone a chance to go home and regroup before the main meeting. The cost of the seminar is $20.00 payable at the door to defray the Club's cost. The seminar and program will be both valuable and informative. All the aspects of fishing a dry fly or floating emerger-fly are covered—slack-line casting, leaders and tippets, entomology and flies, and much more. Skip also explores two very different dry-fly rivers to provide a sense of the range of dry-fly fishing. Also included: the wonders of the scuba-diver hatch. Carol's up again, this time for the Fidalgo Fly Fishers. She will be presenting a powerpoint show on fly fishing photography and also do a fly tying demonstration this coming Thursday at the Fidalgo Fly Fishers in Mt. Vernon, Washington. This time, it's Carol's turn. She will be presenting a powerpoint show on fly fishing photography and also do a fly tying demonstration this coming Wednesday at Olympic Fly Fishers of Edmunds. It seems fly fishers want to record their biggest and most beautiful fish, the fascinating rivers and lakes and beaches they fish and explored--the very heart of their beloved sport--with a camera. Carol teaches them how to make their photos crisp and vivid, balanced and expressive. She demonstrates and explains the Rule of Thirds, effective use of light, the Magic Hour, UFOs (Unidentified Foreign Objects), how to photograph fish, and many other straightforward concepts anyone can use to improve their photographs. Also, Carol will show various failed photos and explain what caused the problems. Skip will be presenting a powerpoint show and tying demonstration this coming weekend at Olympic Fly Fishers of Edmunds.. Skip has a lot of helpful and clever tips and techniques to take your tying to the next level. He will demonstrate a number of flies for the group, then everyone will tie the last fly under his direction. The cost is $20 for non-members. There are two sessions, one at 9 am and one at 12:30 pm with about twenty people per session. Skip will be presenting a powerpoint show for the annual banquet for the Santa Lucia Fly Fishers this coming Saturday. Sunday will be a tying clinic, with Skip demonstrating various techniques. Skip will be presenting a number of talks and tying clinics throughout the weekend, and will be joined by other headliners such as Joe Humphries, Ed Engle, Jeff Courier, and Jason Randall. This expo has been running every year for the last 39 years, and is the oldest running fly fishing expo in the country. Volunteers from the Michigan Fly Fishing Club put their expert efforts every year into making this show a one-of-a-kind event...it is exceptional in having something for everyone. Kids, beginners, intermediates, experts...there are classes and information no matter what your experience. Come join us! Skip will be giving a tying presentation at 1pm until 2:30pm, and then his talk titled "Creeks" at the annual banquet that evening. Check out the link below for contact information and details. Come join us! Skip will be giving talks throughout the show and two hands-on fly tying clinics at The Fly Fishing Show in Pleasanton, California (one on tying nymphs, one on tying dry flies). This is nothing like Skip's usual tying seminars in which often 40 to 80 attendees, or more, quietly watch Skip tie on a screen from their seats–in this class, you and only a few other tiers will sit down with Skip, face to face, and tie together. Skip, the author of 10 fly-tying books (Fly Tying Made Clear and Simple, The Art of Tying the Nymph, Trout Flies for Rivers...) and hundreds of magazine articles on tying flies, will teach you how to make near-perfect wing cases on your nymphs, how to tie with Czech jig hooks and slotted beads, and much more. Bring your vise and your tools and thread and expect to learn a lot. Skip will provide the materials and hooks. Sit across the table from a fly-tying legend and let him gently guide you to a new and higher level of fly-tying skill. You'll grow, and it'll be fun. Intermediate. These tying classes are limited to 10 people, are two and a half hours long, and cost $80. Bring your own vice and tools, Skip will provide materials and hooks. Skip will be the featured speaker at the New Mexico Trout Conclave on Saturday, February 6, 2016. The seminar will be held from 8:30am to 5pm at the Sandia Prep Russell Student Center in Albuquerque, New Mexico. Skip will also be here(Albuquerque, New Mexico) on Sunday the 7th for a fly tying seminar from 11 am to 3 pm. This special event will be limited to the first 20 paid respondents at a cost of $30.00 to include lunch. This will be a bring your own tools and materials event. We will provide a list of suggested material before the event. Come out and learn some new patterns and techniques before the big game Sunday evening. Skip will be giving talks throughout the show and a hands-on fly tying clinic at The Fly Fishing Show in Lynnwood, Washington (this hands-on class will be on tying nymphs). This is nothing like Skip’s usual tying seminars in which often 40 to 80 attendees, or more, quietly watch Skip tie on a screen from their seats–in this class, you and only a few other tiers will sit down with Skip, face to face, and tie together. Skip, the author of 10 fly-tying books (Fly Tying Made Clear and Simple, The Art of Tying the Nymph, Trout Flies for Rivers…) and hundreds of magazine articles on tying flies, will teach you how to make near-perfect wing cases on your nymphs, how to tie with Czech jig hooks and slotted beads, and much more. Bring your vise and your tools and thread and expect to learn a lot. Skip will provide the materials and hooks. Sit across the table from a fly-tying legend and let him gently guide you to a new and higher level of fly-tying skill. You’ll grow, and it’ll be fun. Intermediate. Skip will be giving talks throughout the show and two hands-on fly tying clinics at The Fly Fishing Show in Denver, Colorado (one on tying nymphs, one on dry flies). Desert Fly Casters Club (DFC) and Arizona Flycasters Club (AFC) are teaming up to bring acclaimed author and fly fishing expert, Skip Morris to the valley for a special two-night event this month. Skip will be presenting to DFC on the evening of April 8th and to AFC the evening of April 9th. We’ll host a beefed-up Monthly Raffle and our 2015 Membership Rod Raffle following the presentation. As an added bonus, Skip will make a special guest appearance at the White Mountain Lakes Foundation’s Becker Best Event on Saturday, April 11th. Skip will be giving a presentation on fishing the surface of a trout lake. The meeting starts at 5p. This lake seminar will be held on January 31, 2015 (Saturday) from 10am to 3pm. Skip will present a one-day seminar to benefit the management of Teal Lake in Port Ludlow, Washington. He will discuss and demonstrate proven techniques for fly fishng in lakes for trout, bass, and panfish. 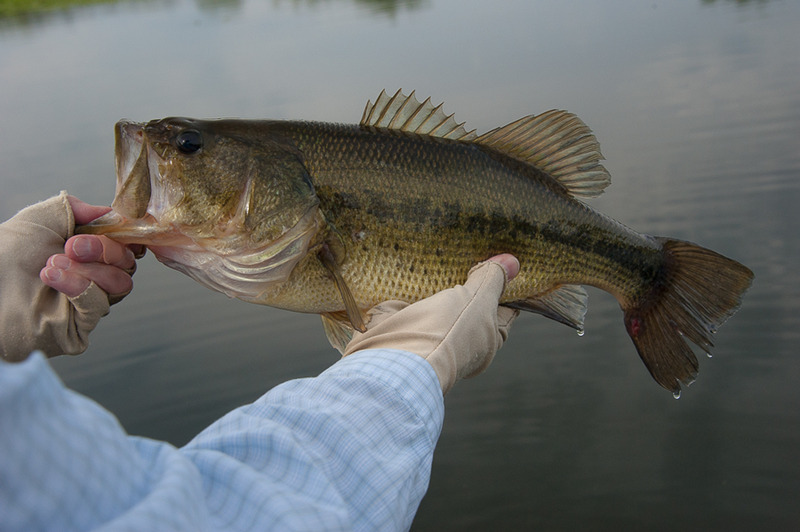 Morning sessions (10 to noon) will cover: Fishing the Surface of a Trout Lake, and Fishing the Depths of a Trout Lake. Afternoon sessions (1pm to 3pm) will cover: Fly Fishing for Bass & Panfish, and Tying Flies for Trout Lakes. Skip will have his books and DVDs for sale. Doors open at 6:15p, meeting starts at 7p. Skip will be giving a power-point presentation on fly fishing at the monthly club meeting on Tuesday, June 3, 2014. On Saturday, June 7, 2014, Skip will hold a tying demonstration and clinic (attendees will tie along with Skip). Buffet dinners are $20 per person. Kids under 16 are half price. There is no charge if you don’t want to eat. Cocktails at 6 p.m., dinner at 7 p.m. and program at 8 p.m. Hope to see you there! Skip is the featured speaker at the 2014 Cornhusker Fly Fishers Spring Fling.The Cornhusker Fly Fishers Spring fling is an event designed kick off the start of the fishing for the year. This event brings together the members of the club for a great day of fly tying seminars, raffles, silent auction items, and of course, food! Because of the event's popularity, we have needed to find a large enough location comfortable and large enough to accommodate everyone. Therefore, Spring Fling will now be held at 'Round the Bend Steakhouse in Ashland, NE. Lunch/drinks are included in your ticket price and is also accompanied by doughnuts, coffee in the morning and pie for desert. 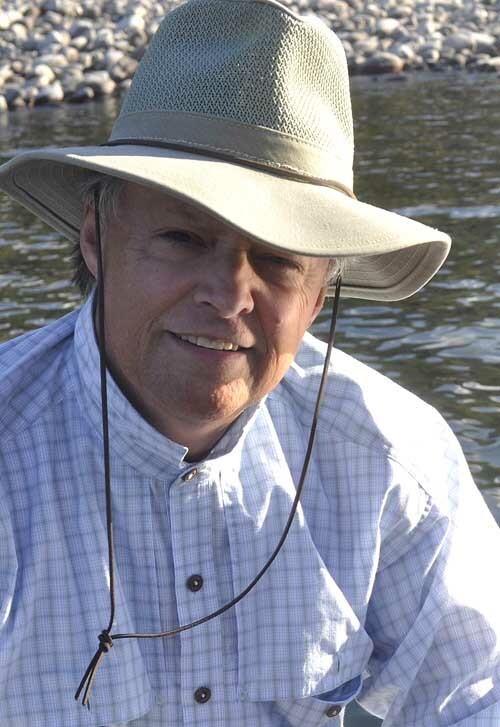 Skip is the featured Presenter for the 2014 Great Waters Show, and will present on a number of different fly fishing and tying topics throughout the show. See show site for details.This fly fishing expo continues the legacy of Tom Helgeson as a passionate advocate for fly fishing and its environs. Tom's legacy of promoting the stewardship of our natural resources will continue to be a focus of the expo in 2015. Partial proceeds from the expo will be dedicated to a legacy fund for the environment. Tie flies with Skip Morris sitting at your side, offering ideas and helping you explore techniques and concepts. Approximately twelve tiers in each class. sign up for this clinic. During this two-day workshop, fly-fishing authors/instructors Skip Morris and Rick Hafele will take you to a new level in fishing trout rivers and lakes. (You also have the option of attending just one of the two days.) You'll learn about the insects that trigger feeding and selectivity in trout with Rick (aka "The Bugman"), an aquatic entomologist by profession, and how to select flies for imitating those insects and fish the flies convincingly with Skip. Both instructors will help you understand proven fishing techniques for rivers and lakes and explore the fine points that really make these techniques produce. Also covered are how to read the water, rods, reels, lines, leaders, and much more. The first day is all about rivers, the second day is all about lakes. You can sign up for both days or only one of the two. At the end of each day, Skip will put on a short fly-tying demonstration. Skip and Rick have taught together for years and have an easy and friendly style. They’re also concise—the information will be clear and useful. Between them, Rick and Skip have written 18 books on fly-fishing topics and have played host on numerous instructional fly-fishing DVDs. They’ve also done radio, television, and have spoken all over North America and overseas. Each day begins at 9:00am and ends at 5:00pm with a break for lunch and a few minutes between presentations. Well known throughout the fly fishing industry for their books, articles and columns, fly fishing authors Rick Hafele and Skip Morris are conducting this information-packed weekend workshop. Entertaining, informative, and just plain fun to listen to and learn from, Skip and Rick cover rivers and streams on day one, and lakes on day two. They'll focus on key hatches, favorite flies, and fish feeding behavior to help you understand what you need to do to be more successful out on the water. who is sponsoring this event. In Issaquah: 1410-A NW Gilman Blvd., Issaquah, WA 98027 (425) 392-3800. 2012 Trout Season Opening Day Party and Celebration! The Fly Shop is excited to host their annual opening day party and celebration, complete with hamburgers, hot dogs, chili, and all the trimmings prepared by the Shasta Trinity Fly Fishers. This is a wonderful way to get a jump-start on your fly fishing season! shake his hand and get to know him. The day after The Fly Shop event, Skip will put on a hands-on fly tying clinic for the Shasta Trinity Fly Fishers fly-fishing club. Learn to tie with Skip at your elbow! Come join Skip at the North Idaho Fly Casters meeting! There will be a fly-tying class with Skip Morris from 1 p.m. to 4 p.m on May 17, before the meeting at the Templins Resort in Post Falls, Idaho. Cost will be $25 per person. Bring your fly tying tools and call Dave Londeree to register ((208) 946-6631). Skip will teach you to tie some of his best patterns for both lakes and rivers. Club meeting/dinner following the fly tying class; the program "Make Nymph Fishing Work" by Skip will be presented at the meeting. Both the fly tying class and the club meeting will be held at the Red Lion Hotel, Templin's Resort, in Post Falls, Idaho. The Fly Shop is thrilled to be working with acclaimed authors and anglers Skip Morris and Rick Hafele. Skip and Rick are two of the best in the business, and they're hosting a specialized school program at Antelope Creek Lodge. Each day's program will start with a delicious breakfast prepared by our own Antelope Creek Lodge staff, followed by a morning program that combines slide shows and classroom presentations with on-the-water, hands on observation and training. Lunch is enjoyed on the Lodge's deck overlooking slurping trout on Antelope Creek. After the midday break, specific casting and fishing techniques applicable to the morning's session (such as how to fish a specific type of insect imitation in a specific life phase) will be discussed and demonstrated, then everyone will hit the water and put their newfound expertise to use on the rainbow and brown trout of Antelope Creek Ranch. Fish weary and overwhelmed with knowledge, guests enjoy another memorable meal before sharing stories, asking and answering questions, and picking Skip and Rick's brains until collapsing, exhausted and rewarded, to a restful slumber with the sounds of the creek bubbling just outside their window. Daily seminar topics and techniques to be covered include entomology and fly selection for a variety of aquatic and terrestrial insects, including mayflies, caddis, stoneflies, and midges. We'll cover both stillwater and small stream strategies, and work on improving our casting in different fishing situations encountered every day on different types of waters, such as distance casting, accuracy, short casts, roll casts, and presentation casts. The Trout Tactics program is an exceptional learning opportunity, and a fun-filled weekend for any anglers looking to expand upon their basic knowledge and understanding of fly fishing for trout. You will walk away from this weekend a better, more confident angler. Skip went live on Ask About Fly Fishing.com Internet Radio on Wednesday, December 1, 2010. He discussed his secrets for fly fishing for largemouth bass and effective tips for tying those challenging bass bugs. Also, Skip answered listeners questions about these hard-fighting fish and the flies they strike. Click on the link below to listen to the interview, and get ready for a lively discussion about these crafty freshwater predators. Skip's personal appearances will be updated on a regular basis,so check back periodically to see if he is speaking in your area.